Ararat Rural City Council has welcomed the decision to continue the duplication on the Western Highway from Buangor through to Ararat. Council received notification from the Minister for Planning, Hon Richard Wynne for the approval of the Amendment C37 to the Ararat Planning Scheme, which will allow the project to continue. Minister Wynne said the effect of the amendment was to include the document Western Highway Project, Section 2B (Buangor to Ararat), Incorporated Document, June 2017, in the Ararat Planning Scheme, to exempt use and development for the project from the need for a planning permit. 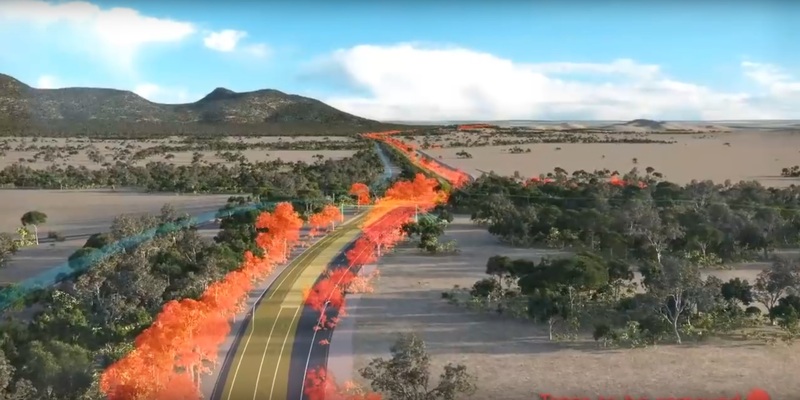 “This will replace the previously expired planning controls and allow for the construction for the Western Highway duplication from Buangor to Ararat,” he said. Minister for Roads and Road Safety Luke Donnellan announced on Thursday that a contractor will soon be appointed to get this vital safety project back up and running this month. Ararat Rural City Council has been in continued contact with VicRoads during the delays in progress and Mayor, Cr Glenda McLean said the recent news from the Minister is pleasing. “This is a major project for Ararat and the surrounding region,” Cr McLean said. “Extending the duplication from Buangor through to Ararat will improve the safety for all road users. “The planning approval will ensure that VicRoads meet the highest standards regarding environmental impact and it is hoped that the Minister’s decision will allow for construction on the project to recommence early in the new year.